Welcome to The Lloyd Group, Inc. We offer comprehensive retirement and estate planning services nationwide. Our goal is to help you grow your personal wealth, ultimately protecting you and your family for generations to come. What’s on your life bucket list? Don’t forget to include your finances! Many of us have a bucket list, or even a few thoughts about what we want to accomplish in life. Have you ever thought about a financial bucket list? 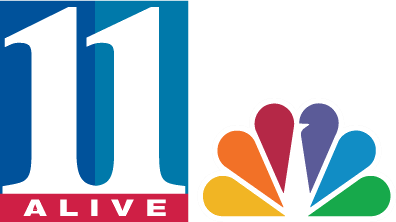 Financial professional Mark Lloyd talked with Atlanta & Company about what should be on our financial bucket list and tips to reach those goals. Mark Lloyd, owner and founder, is frequently called on by local and national news stations for his industry knowledge and guidance. You may have seen him locally on Fox 5 Atlanta or WSB Channel 2, or nationally on Fox Business network. He has also been quoted in many newspapers and magazines such as The Wall Street Journal, Forbes and the Atlanta Journal Constitution. Why The Lloyd Group, Inc.? You’ve been working hard to save money for your future. But do you know what you want your financial future to look like and how much income you will need to support it? Maybe you have a general idea, but at some point, you will need a more concrete calculation. That is where the financial professionals at The Lloyd Group, Inc. come in. We can evaluate your unique financial situation and construct a strategy that will help allow you to achieve your retirement dreams. This helpful retirement kit includes three separate guides that address several topics you should consider when planning your retirement. Tune in to our national show, the Financial Symphony, every Saturday at 11 a.m. and 5:00 p.m., as well as Sunday morning from 11 a.m. to 12 p.m. on News Radio 106.7. In simple everyday language, Mark Lloyd C.E.P., R.F.C., will discuss strategies that you may consider implementing now. The Lloyd Group, Inc. recommends everyone check their credit report at least once a year to look for anything suspicious. You can get a free report from each of the three credit bureaus. Click here to get your free report. Please visit the National Consumers League or Better Business Bureau to report a scam. Advisory services offered through Lloyd Advisory Services, LLC. The Lloyd Group, Inc. and Lloyd Advisory Services, LLC. are affiliated. The Lloyd Group, Inc. is an independent licensed insurance agency. the lake boating and water skiing with his beautiful wife Raleigh and his playful poodle Gracie. Blake Morris, CFP®, M.B.A., has been a family friend for more than 18 years and is married to Drew’s sister, Lindy. Blake graduated from The University of Georgia with a degree in finance in 2002 and received his M.B.A. in 2005. He has been in the insurance industry for over 12 years with some of the top carriers including Liberty Mutual and St. Paul/Travelers. He has been helping clients here at The Lloyd Group, Inc since 2006. His diverse background allows him to develop a customized, personal plan for each and every client based upon their needs. Blake is happy to share his expertise in assisting clients achieve their goals, plan for tomorrow and develop strategies that allow their money to last a lifetime. He and the rest of The Lloyd Group, Inc. look forward to serving their clients, today, tomorrow and whenever life changes. Drew Jones, B.B.A., RFC®, has been with The Lloyd Group, Inc. since 2007. He is a registered Investment Advisor Representative for Lloyd Advisory Services and is married to Mark’s middle daughter, Amanda. Drew has a finance degree from the University of Georgia, and that is where his expertise lies. His financial background provides for extensive knowledge in portfolio analysis and managing risk. Drew’s main goal is to help secure an individual or family’s financial future through time-tested retirement programs or providing estate planning solutions to protect their assets. He is able to provide a variety of programs and advice that best fits his clients’ needs. Drew, and everyone at The Lloyd Group, Inc., takes pride in their commitment to serving their clients for life. 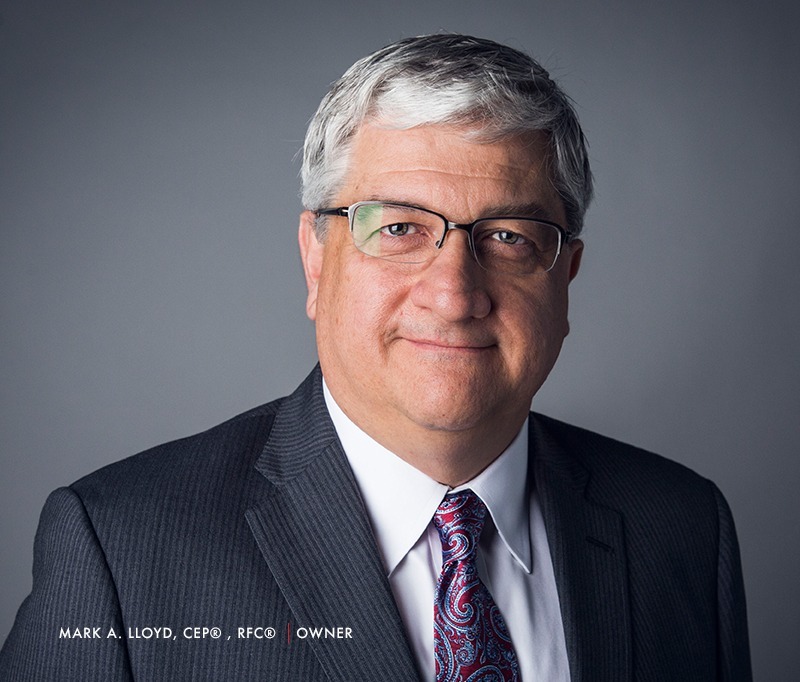 Mark A. Lloyd, CEP®, RFC, is the principal owner of The Lloyd Group, Inc. He has a staff of retirement professionals and has been the featured speaker at estate planning and retirement seminars for many years. He has spent his career not only educating the community, but has attended, completed and received some of the most highly respected designations offered in the financial industry. Mark is passionate about providing the continuous financial guidance individuals and families need to secure their financial future. He has been developing comprehensive retirement and estate plans for more than 25 years. In addition to providing products and services from a number of the largest, most stable and well-respected names in the financial industry, his No. 1 commitment is to serve his many clients and to make sure that he will be there when their life situation changes. He is a CEP (Certified Estate Planner) and an RFC (Registered Financial Consultant). The Lloyd Group, Inc. has partnered with some of the premier firms in the estate planning and asset protection arena in the Southeast. Mark is also a registered Investment Advisor Representative for Lloyd Advisory Services. Cliff Hitt has been with the Lloyd group since 2014. He believes his previous 6 years working for SunTrust Bank were an ideal foundation for his work as an Investment Advisor Representative with Lloyd Advisory Services. Cliff received a Degree in Business from Colorado Tech. Prior experience as a sales manager in both retail and hospitality have developed the attention to detail, good listening skills, and great empathy that are appreciated by his clients. His teamwork and professionalism help him build long-term relationships with his growing client base and provides excellent customer service. Cliff’s focus is on helping his clients achieve the peace of mind that comes with knowing they have a solid retirement plan. Cliff is happily married to his lovely wife Jaime and has two wonderful children. Away from the business, he enjoys training at a local Cross-fit gym and spending time with family and friends.